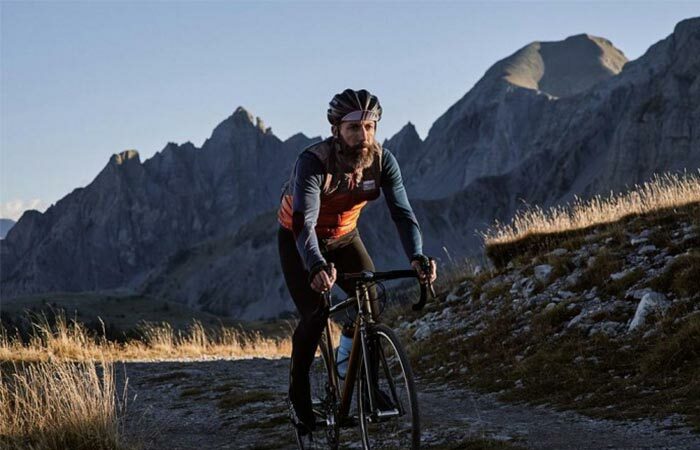 Winter is approaching which doesn’t mean you can’t enjoy cycling. All you need is to gear up and get prepared for tough weather conditions. Albertine Thermal Cycling Vest is there to provide you with maximum performance, great levels of insulation as well as extreme breathability. This gilet features fully windproof front sections, making it perfect for cold winter winds. Thanks to Primaloft Active insulation, Albertine will retain the warmth even in coldest temperatures while allowing sweat and moisture to escape. Albertine Thermal Cycling Vest is perfect for winter since it will keep you warm and protected from winds and cold temperatures. The back of the vest uses technical Merino polar fleece fabric. This material is high wicking and additionally contributes to thermoregulating properties. It’s also suitable for sweating since it’s odor resistant. Because of the added stretch, it provides a perfect fit, whether you prefer a more relaxed or slim fit. This padded vest features Primaloft Active insulation and technical merino polar fleece fabric on the back. Let’s talk about its storing capacities. You’ll find a single chest pocket, two oversized rear cargo pockets, and a zipped side pocket. The latter is very practical for storing your ride essentials. Not to forget the zipped brushed interior collar lining. Also, if you’re cycling in low light, the reflective details on the pockets are very helpful for increasing safety while riding. Albertine Thermal Cycling Vest is available in two colors- orange and grey/blue. It has plenty of pockets for storage and reflective details that will make you visible in low light situations.